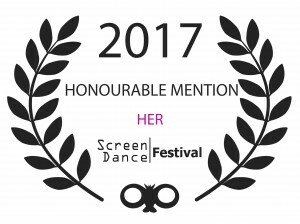 The winners of Stockholm ScreenDance Festival and ScreenDance Residency 2017! En dansfilm som tar upp ett aktuellt och viktigt ämne med stil och känsla. Den beror och stannar kvar i medvetandet, oförutsägbar, inkluderande och generös. A dance film that takes up a current and important subject with style and feeling. It touches and stays in consciousness, is unpredictable, inclusive and generous. Förtrollande och vacker dansfilm som lockar in åskådaren till en dynamisk och organisk upplevelse där rörelsen möter naturen i ett vackert samspel. Enchanting and beautiful dance film that captures the spectator into a dynamic and organic experience where the movement meets nature in a beautiful interplay. Rakt på sak och under en minut med hög puls och tempo kastas man in i en virvelvind av rörelse i gränslandet mellan koreografi och dynamisk dans. Straight to the point and under a minute with a high pulse and tempo the spectator is thrown into a whirlwind of movement in the intersection between choreography and dynamic dance. Here you would find day by day all the dance films selected to our festival 2017! Welcome to the 4th edition of ScreenDance Festival at Dansmuseet / Rolf de Maré Museum of Movement in Stockholm! ScreenDance Festival screening independent dance films from around the world. Enjoy the selected films for free Tuesday April 25 – Sunday April 30. We are looking forward to see you! 18.00 – 20.00 Maries Attitude – Documentary premiere in Stockholm. PRE-BOOKING of tickets at shop@dansmuseet.se before April 24th. ScreenDance Festival 2017 is organized in collaboration with Dansmuseet and with the support of Stockholms Kulturförvaltning. Welcome to MARIE´S ATTITUDE at Dansmuseet. Free admission. Pre-book at shop@dansmuseet.se before April 24th. Kl 19.40 Conversation with the director Kersti Grunditz Brennan and Marie Lindqvist, Royal Swedish Opera dancer. The evening ends with the festival mingel at Dansmuseets Bistro Rolf de Maré. MARIES ATTITUDE is a feature documentary about Swedish ballerina Marie Lindqvist, a great artist who remains quietly devoted, driven by the love of dance. The film follows Marie closely during the last four years of her dancing career at the Royal Swedish Ballet and on tour. It is filled with up-close rehearsals, performances and her own thoughts about her artistic process, at home with her daughter and at work. Over the four years the film also tracks her mental preparation for the end of her career and how her thinking changes as the day draws near. In the film principal dancer Marie Lindqvist participates in the ballet gala Intensio with Daniil Simkin, does Kenneth MacMillan’s Manon, The Chosen One in Bejart’s Rite of Spring, Apartment by Mats Ek, Julia’s mother in Juliet and Romeo by Mats Ek, has a part created for her by Marcia Haydée and more. Through unique access and extensive filming at the Royal Opera in Stockholm, the film taps the soul of dance from a dancer’s perspective. The Garbo-like Marie Lindqvist gives us an exclusive peek into her artistry. Meet Marie’s Attitude. Organized in collaboration with Dansmuseet, Ditta Produktion and the support of Stockholms Kulturförvaltning during ScreenDance Festival April 25th-30th. 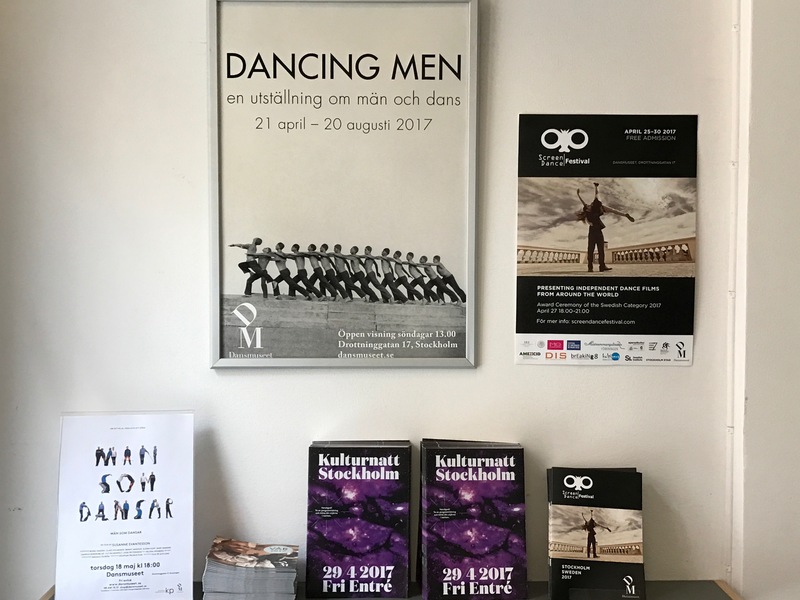 Venue: Dansmuseet, Drotnningatan 17, Stockholm.